Will you cross the finish line first? Now is your chance to find out! 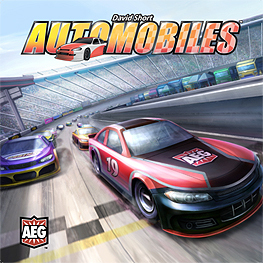 Automobiles is a deck-building game where the fun is cubed. Instead of cards, you'll be building your collection with cubes. Your cubes not only allow you to race your cars around the track, but they will also allow you to improve your handling, optimize your pit crew, and boost your speed, which are your keys to victory. Be the first to cross the finish line and watch that chequered flag wave!